A lighthearted romp with old spies reliving former glories, RED is entertaining, funny, loud, and almost instantly forgettable. 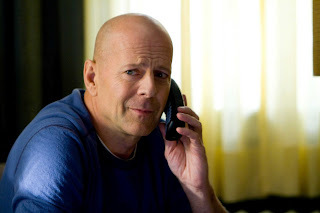 Retired CIA special operative Frank Moses (Bruce Willis) is living in Cleveland and lonely to the point of destroying his pension cheques just so that he can nurture a long distance romance with Kansas-based call centre employee Sarah Ross (Mary-Louise Parker). Suddenly Moses finds himself the target of a ruthless professional hit squad. He eliminates the danger and swings back into action, trying to piece together why someone wants him dead. Moses takes refuge with Ross and reconnects with several fellow retired CIA colleagues: mentor Joe Matheson (Morgan Freeman), wacked-out conspiracy theorist Marvin Boggs (John Malkovich) and understated sharpshooter Victoria (Helen Mirren). With the help of the ancient CIA records keeper (Ernest Borgnine) and a former Russian foe (Brian Cox), they uncover an elaborate political plot to silence a reporter and all loose ends related to a botched 1980s secret mission in Guatemala involving the CIA and many dead civilians. Moses and his friends have to stay one step ahead of ambitious current CIA agent William Cooper (Karl Urban), while figuring out the shady role of their former colleague Alexander Dunning (Richard Dreyfuss). With a recognizable star face in every role, RED (which stands for Retired, Extremely Dangerous) just wants to have fun. The action is exaggerated, the coolness amplified, the explosions extremely frequent and noisy, and the humour sharp and delivered dry. Director Robert Schwentke keeps the action hurtling fast enough to almost conceal the large absurdities in the plot. 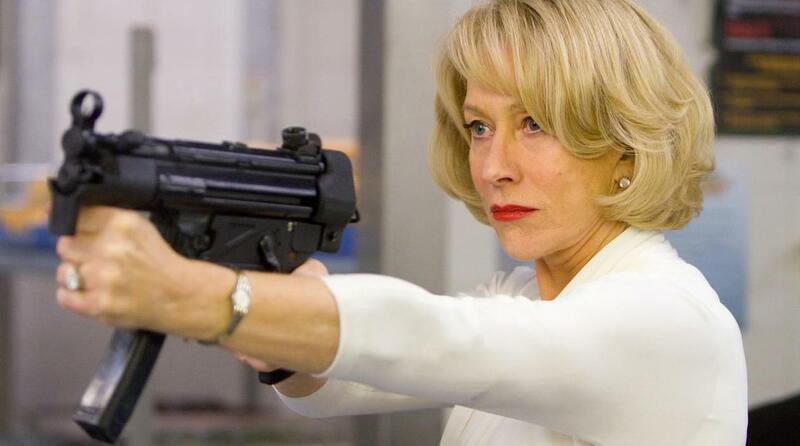 An adaptation of a limited comic book series, RED is not a film to question the logic of a large hit squad marching through a sleepy Cleveland suburb with machine guns blazing to further the supposedly top secret cause of a sitting politician. Bruce Willis holds the action together with his weathered, seen-it-all-before grimace, poking fun at his overall screen persona as much as the character. Mary-Louise Parker is in the movie solely to provide a non-combatants perspective to the joyous mayhem, and she sparkles with a charming freshness, television's gain (The West Wing, Weeds) proving to be a significant loss for the world of film. While it is a remarkable pleasure to see Borgnine on the screen at the grand age of 93, the rest of the cast does not rise much above barely concealed comic stereotypes, with a gawky romance between the characters of Mirren and Cox only helping to trip up the frantic action. RED has plenty of style, limited substance, and an abundance of attitude. It adds up to an easy couple of hours, with no aftertaste.